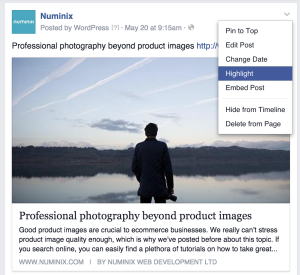 Highlighting stories lets you feature posts that are important for your business. The highlighted content will show on your Timeline with a star banner and will always appear on users’ timelines, whereas other posts can become hidden over time. To highlight a story, hover over the top right corner of the story you want to highlight, click on the down arrow and select “Highlight”. This feature does exactly as it says: it pins any selected story to the top of your Facebook Page. You can use this for flash sales, for example. When the sale is over, simply unpin the story. 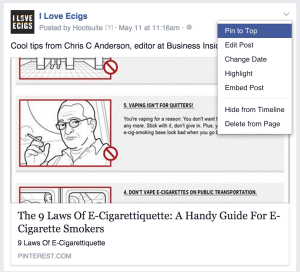 To create effective attention-grabbing content on Facebook, we recommend using images. Posts with images get 39% more engagement on average! By creating themed albums, you can keep people entertained on your profile while showing them your products and values. For example, you can create an album for each product or category of products, or even create a showcase of your work. 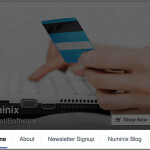 Download our free Facebook Button module for ZenCart to allow customers to “like” your products and pages.